April 28 from 10 a.m. to 12 p.m.
By now, we’re confident that you have heard of LinkedIn. The social media network is much more than a “professional” Facebook. It’s a business-oriented social networking site that not only brings connections, but results. LinkedIn has more than 240 million active users. Today, brands both corporate and small are utilizing its tools to network and generate messages. 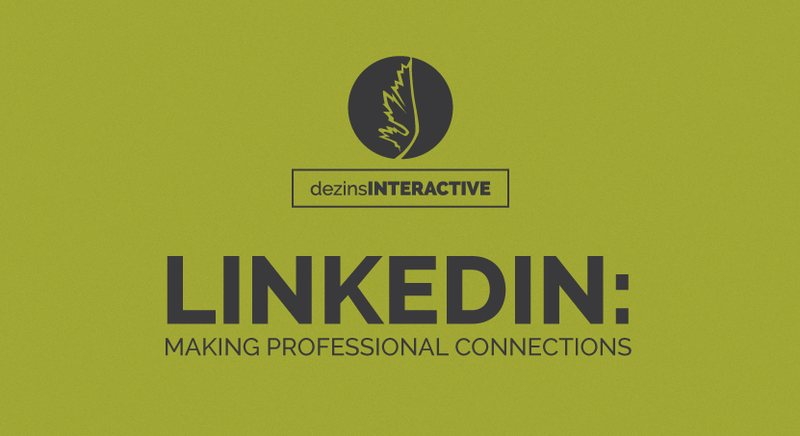 At dezinsINTERACTIVE, we can help you use LinkedIn to your greatest advantage.